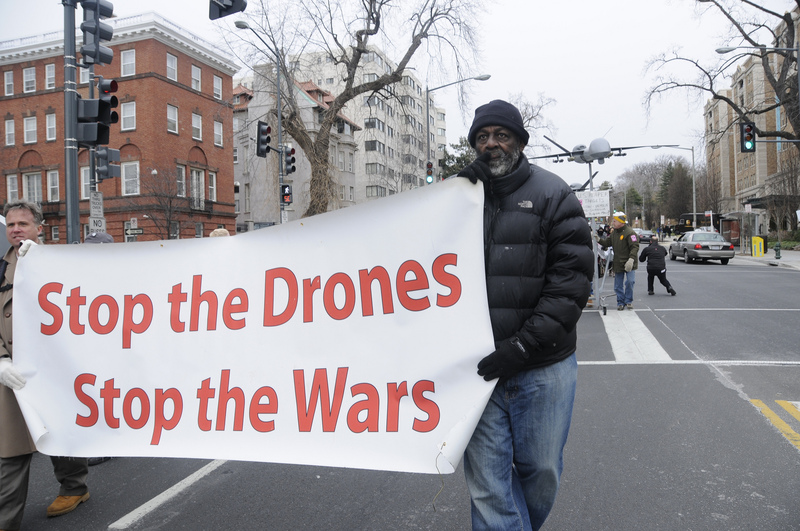 Case study: Autonomous weapons, who pulls the trigger? Autonomous weapons: who pulls the trigger? Now we turn to a subject you might not have expected: autonomous weapons (drones used for military purposes). You might be wondering what drones have to do with RI and VSD. Robotic weapons currently in use range from RPAS (Remotely Piloted Aircraft Systems), commonly referred to as ‘drones’, which are controlled by a human operator, to robots used to monitor border posts in the Korean Demilitarized Zone. Their use is increasing in militaries around the world, as is research into new systems. With more funding and new technologies, confusion and controversy are only likely to grow. Drones can carry out all sort of tasks without human intervention. Of course, there are definite benefits: human lives (of soldiers or others) need not be put in dangerous places or situations if drones can achieve the same outcome. On the other hand, there are also some risks, which you might recognise based on content from Weeks 5 and 6. More importantly, there are serious ethical concerns! In this section, we will have a closer look at autonomous weapons, the controversies and policy recommendations to deliberately design moral and causal responsibility to human parties. Robo-Wars: The Regulation of Robotic Weapons by Alex Leveringhaus and Gilles Giac. Then watch an interview with Dr. Alex Leveringhaus on the subject. If you read and watch this, think about (conflicting) values, norms and design requirements! In other words, the values hierarchy for automated weapons. Your final Peer Review Assignment will also be about autonomous weapons and the VSD model/approach we introduced in Section 7.3, so try to follow this content carefully. Robo-Wars: The Regulation of Robotic Weapons by Alex Leveringhaus and Gilles Giac (2014). This policy paper summarises different types of military robots and outlines the relevant technological features of robotic weapons. It provides an overview of the ongoing debates as to whether the use of robotic weapons is legal and ethical. It then assesses current proposals for the regulation of robotic weapons. Finally, the paper makes recommendations to states, manufacturers and the military on how to develop a suitable regulatory framework for robotic weapons. Who really pulls the trigger? Please share your thoughts on autonomous weapons, and interesting ethical implications that worry/fascinate you.